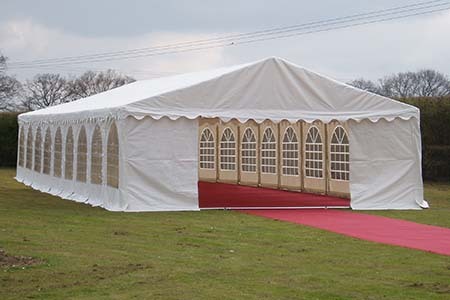 Designers of PVC marquees to buy in the UK for over 15 years, our engineers ensure continual improvement on design. 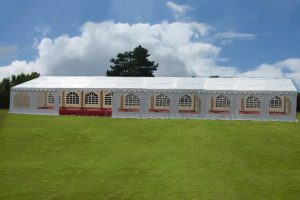 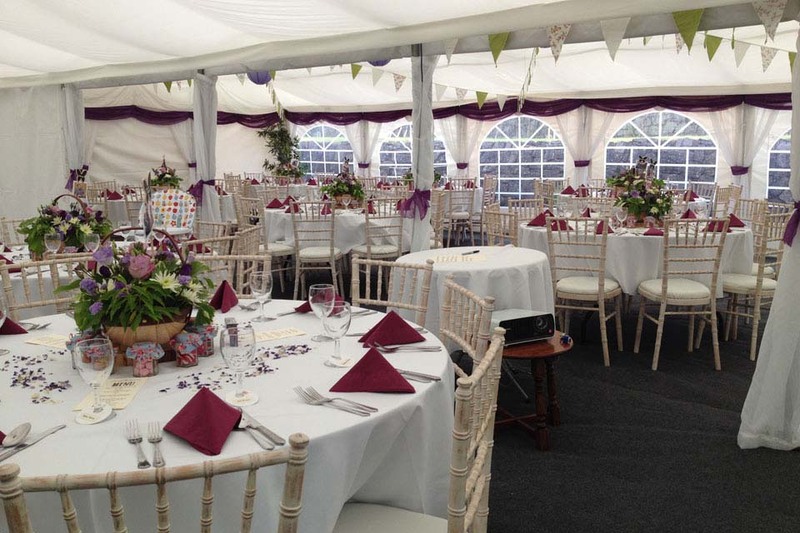 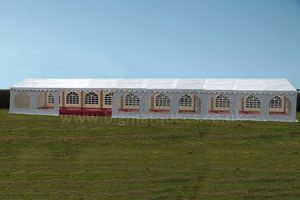 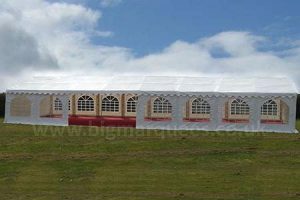 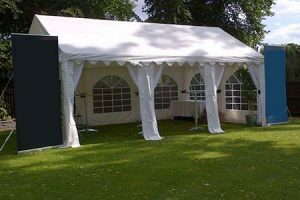 We are confident that our structures are the highest quality 500gsm PVC marquees for sale in the UK. 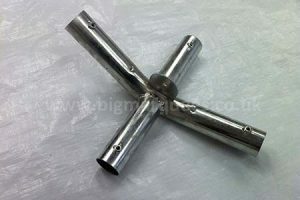 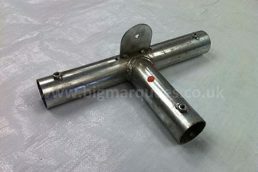 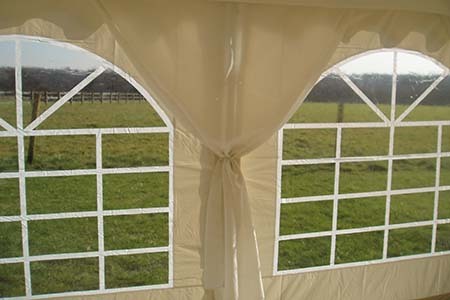 Georgian Windows – We have True Georgian rounded window side panels which are 2m x 2m and are individual panels (9 for each side) which attach to eaves leg and ground bar poles with bungee ties because this allows the panels freedom of movement in strong gusts of wind which intern prevents splitting and ripping of the panels but these are all attached together and waterproofed with the leg covers. 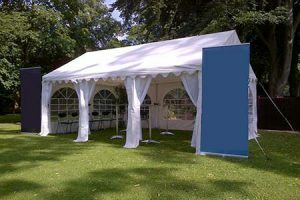 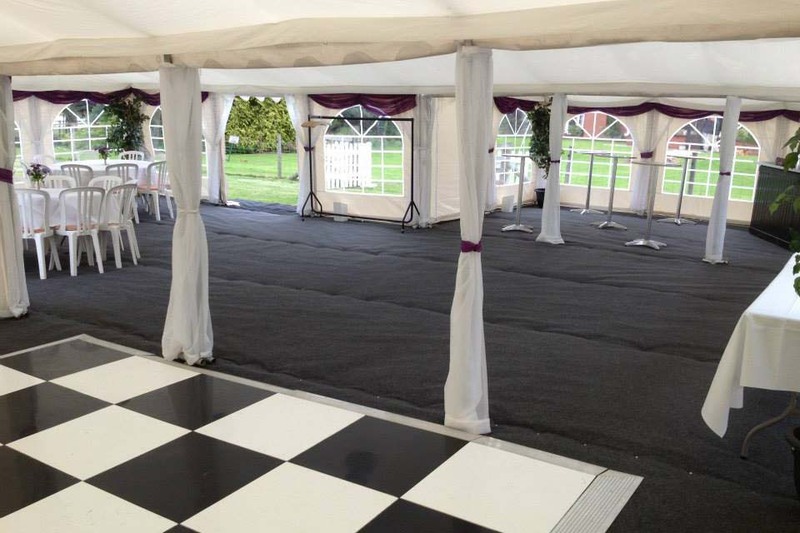 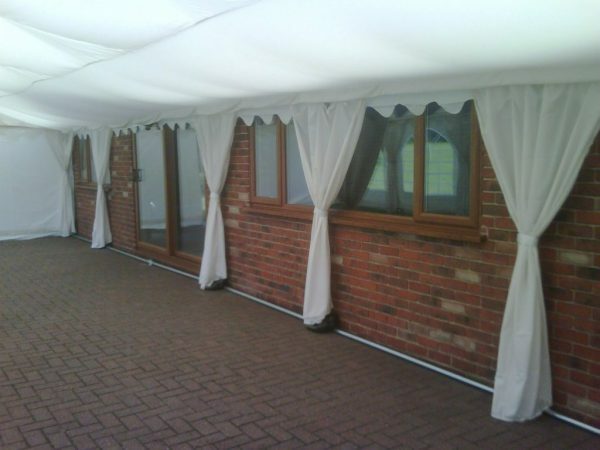 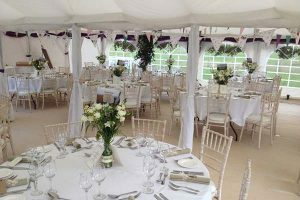 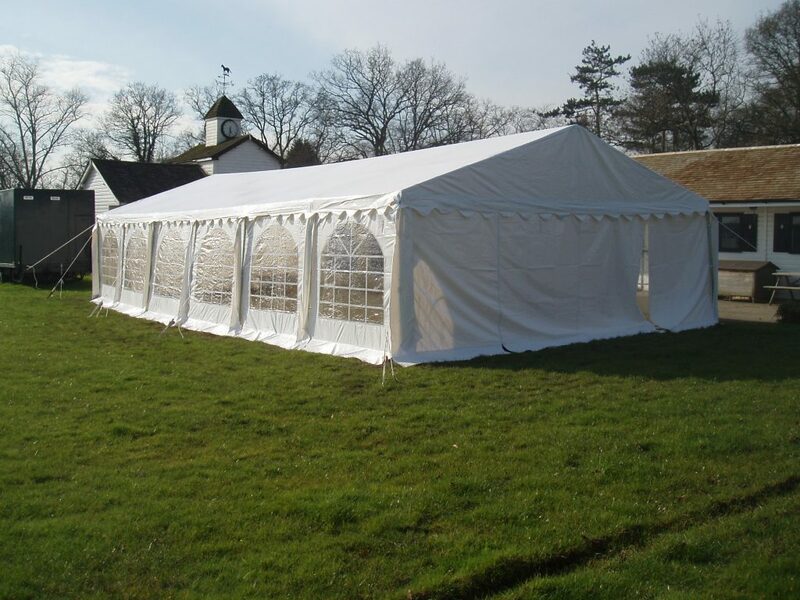 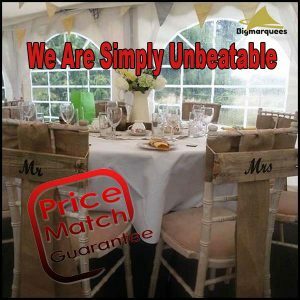 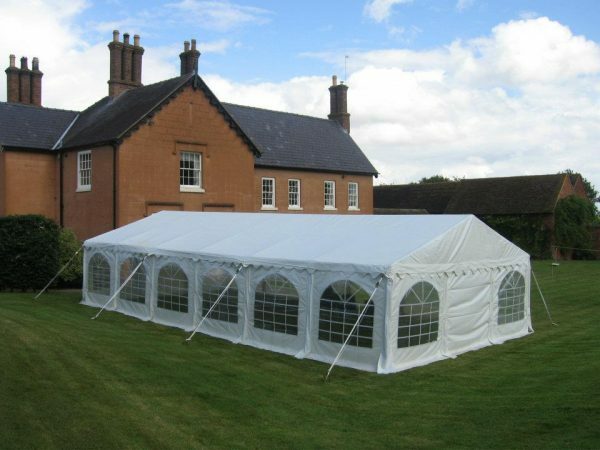 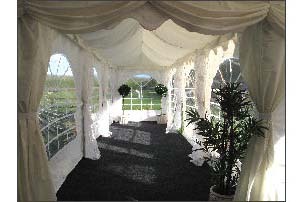 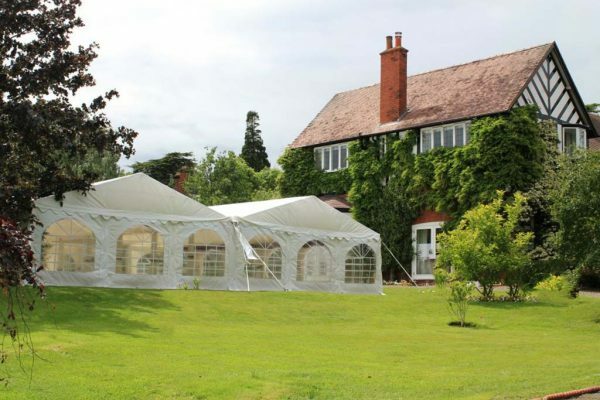 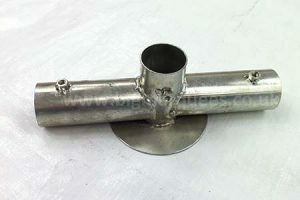 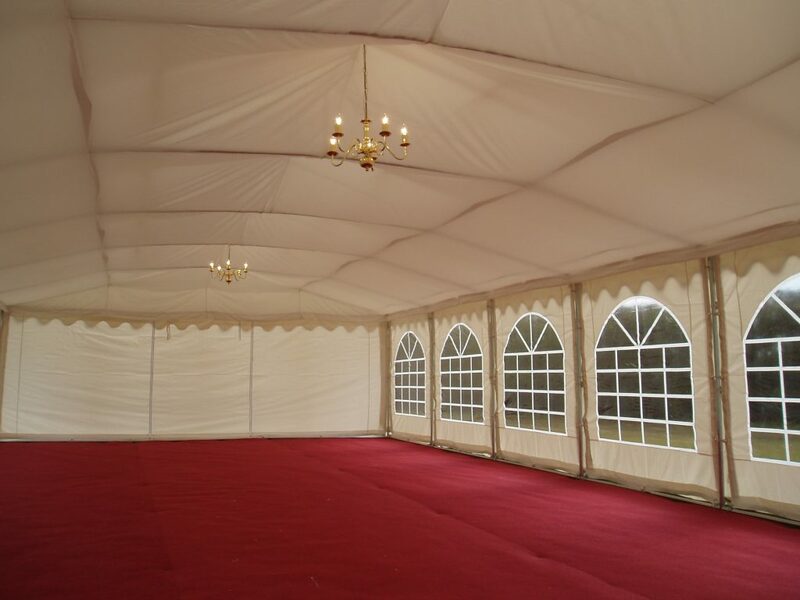 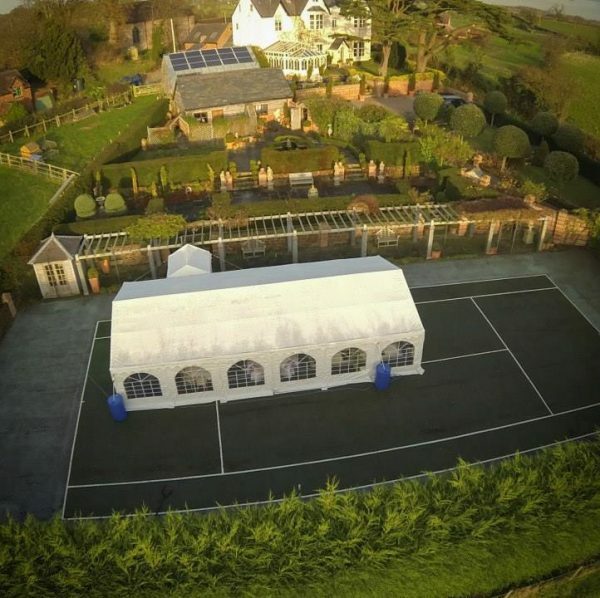 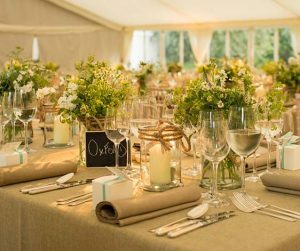 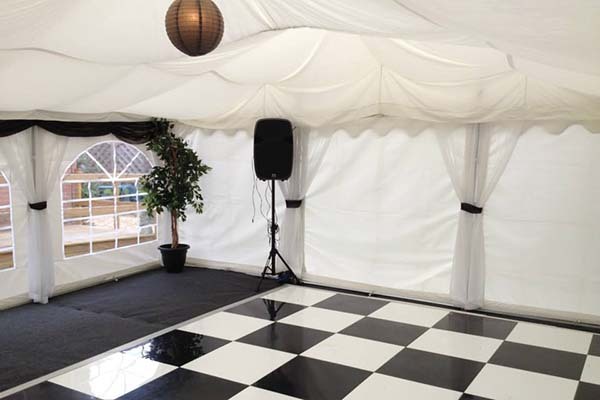 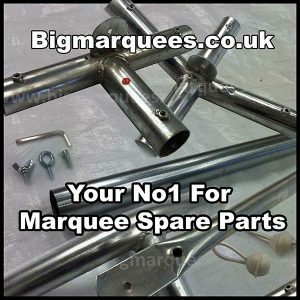 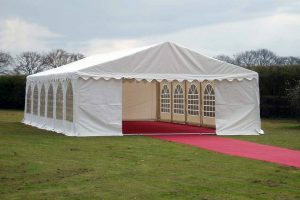 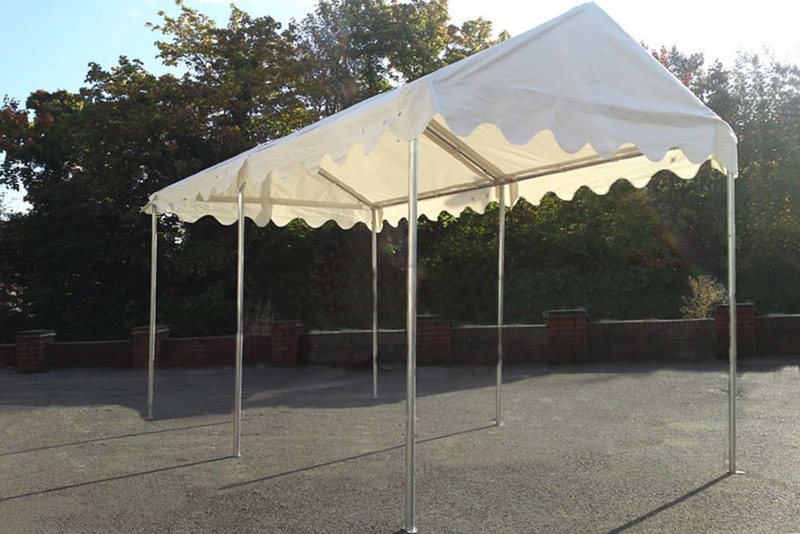 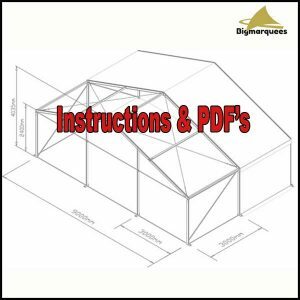 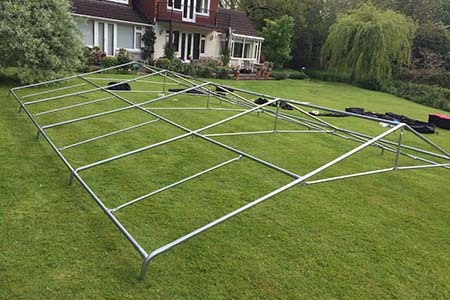 With 2 to 4 people this marquee proves very easy to erect and with the comprehensive easy to follow instructions we supply when the marquee is delivered together with the video we have in our Marquee Instructions section, it’s almost too easy. 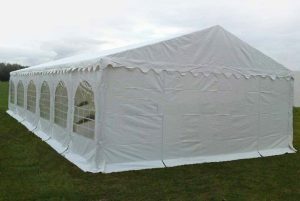 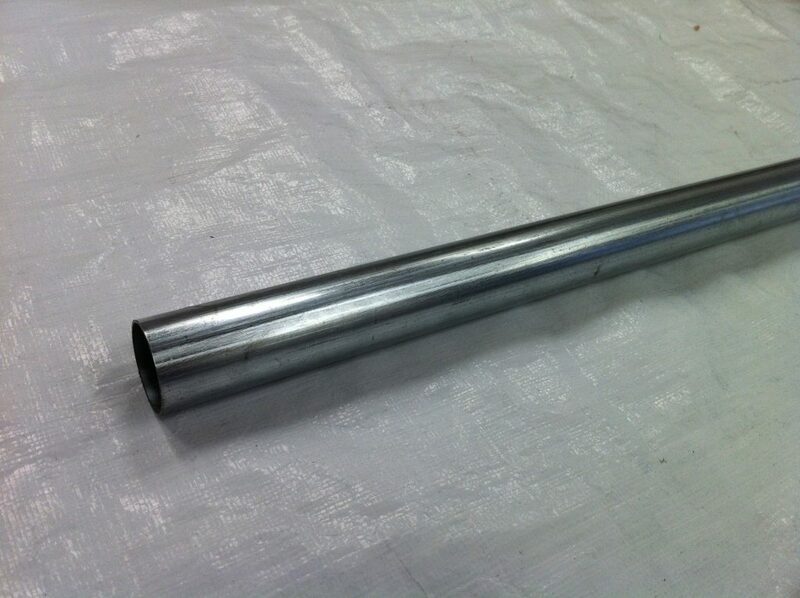 Highest Quality 6m x 18m Marquee 500gsm PVC for Sale in the UK.